Independently released on house label Deep Fryed Records, Hill lets her soul rip on “Feline Roots”. This new collection of songs by Nikki again displays her now well-known stance to champion for the pioneers of roots and rock n’ roll, while remaining in perpetual forward motion, inviting anyone who wants to come along for the journey. The songs imagine the southern soul rocker at times waving her flag in surrender, then in the next moment finding her way back into the climb, bending through supercharged blues, punk soul, revival tent gospel, rockabilly shouts, whatever it takes to get there. 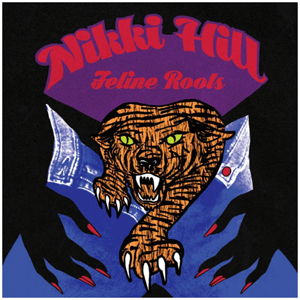 Nikki has never been afraid to take the road less traveled, and it’s clear with “Feline Roots” that she’s living every word.